Should You Take a 401(k) Loan? 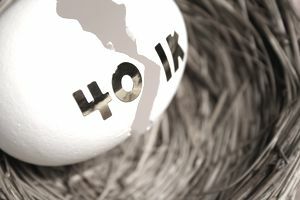 Many retirement plans such as 401(k)s and 403(b)s allow participants to borrow money from their retirement savings. While it is your money, there are many things you should consider before tapping into that retirement plan with a loan. One of the most common mistakes people make is thinking that borrowing from their 401k is the same as going to the bank and taking some money out of a savings account. This couldn’t be further from the truth. When you borrow money from your 401(k), you are taking out a loan. Just like an auto loan or a home loan, this means you promise to pay back what you borrow. When you initiate a loan from your retirement plan, you will have to establish a repayment plan, which for most loans ranges from one to five years. The loan repayment will begin shortly and be deducted from your paycheck automatically. Just like if you were to take out any other type of loan, this will now be a regular expense that has to be paid. Another thing to consider before borrowing against your retirement fund is in respect to the various fees and interest rates you will be charged. Most plans charge a one-time loan origination fee that can be upwards of $75, regardless of the size of the loan. This means that even if you were to borrow $1,000 and they charged a $75 fee, you’re losing 7.5% right off the top. In addition to fees, you also have to pay interest just as you would on any other loan. The one good thing about the interest is that you are actually paying yourself the interest. So, you are actually putting a little bit more money into your account instead of a bank receiving the interest. A common interest rate is the current prime rate plus 1%. If you recall, your retirement plan contributions are made on a pre-tax basis. This means that you realize a tax break when making contributions to the plan, and you’re then taxed in the future when you take money out of the plan. Unfortunately, when you take a loan from your plan, you may be subjecting yourself to additional taxes. While regular 401(k) contributions are taken out of your paycheck on a pre-tax basis, the loan repayments are not. This means that you are taking pre-tax money out of your account and then repaying it with after-tax money. This can result in some of this money being taxed twice. Compounding interest is one of the greatest assets you have going for you in a retirement plan. Over time, the interest and gains on the money in your account snowballs and can accumulate significantly. When you pull money out of your retirement account, you are reducing the amount of money that can compound. While you are slowly repaying the loan with a bit of added interest, this slow repayment plan can adversely affect the rate in which your money can grow if it remained inside your 401(k) as a whole amount. As was mentioned at the very beginning, this is a loan and must be repaid. If you are to leave the employer who sponsors the plan, you're still on the hook for the loan. In some instances, you can request a coupon book and continue to make payments, but if you fail to keep up with payments or cannot repay the loan in full, you will default on the loan. When you default on a 401(k) loan and have not reached the age of 59 1/2, the IRS treats the loan as a distribution which would not only be subject to income taxes but an additional 10% early withdrawal penalty as well. This can quickly put a big dent in your retirement savings. Understandably, life happens, and there are times when you really need some extra money. Ideally, you'd want to have an emergency fund set aside to cover those situations, but for many, turning to a retirement plan may be one of the few options. Before jumping into a 401(k) loan, make sure you consider all of your other options first and have a full understanding of what borrowing from your retirement plan will really cost you. Does Refinancing Your Home in Retirement Make Financial Sense? Can You Make a Financial Plan That Gets You Past 100? When Is the Right Time to Stop Contributing to Your 401k?